George holds degrees from “Codarts”, University of Arts in Rotterdam and the Philippos Nakas Conservatory in Athens. Upon completion of his studies, he won the position of principal trombone of the National Symphony Orchestra (2011). George participated in the music school competitions and he won the 2nd prize in 1999, 1st in 2000 and 2001. Also, he won the 1st prize in Summer Academy Corfu (2008) for young soloist. His high school awarded him with a plaque in 2001 for his outstanding achievements in music. 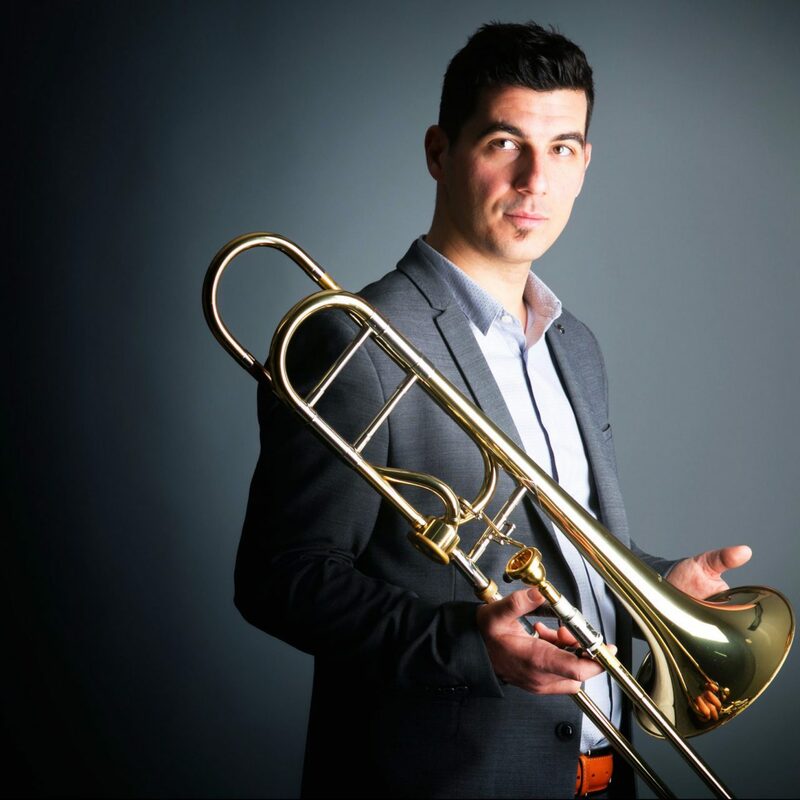 Also, he has been awarded from the mare of Llauri (Spain) for the concerts with the ‘Aferla brass’ trombone quartet. 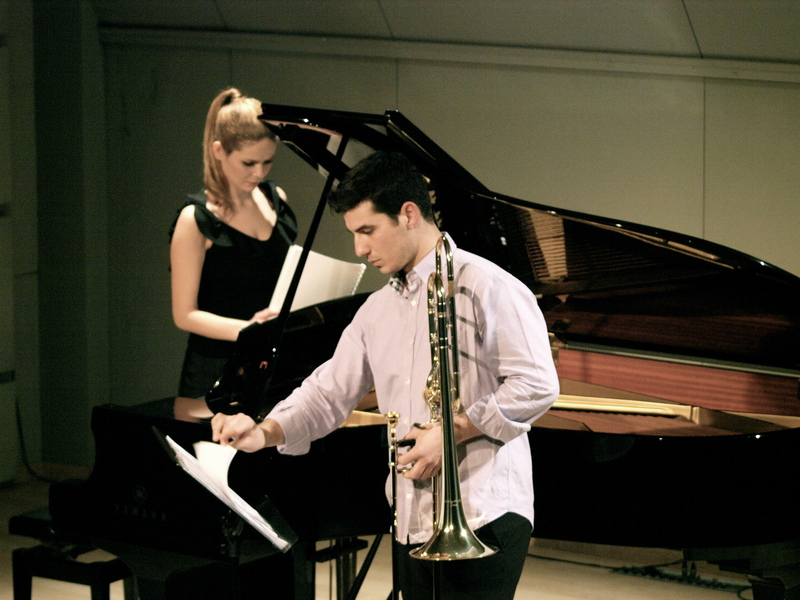 At 2009 George won the first prize in the Remington Competition in ITA with the trombone class from Rotterdam (Codarts), at 2010 won the Silver Award for his performance at the international competition in Slovenia and at 2014 was finalist and invited at the international trombone competition in Hong Kong during the “SliderAsia” trombone festival. George, among other, has also performed with the Rotterdam Philharmonic Orchestra, the Radio Chamber Orchestra (NL), the Israel Philharmonic Orchestra, the International Mahler Orchestra, Malta Philharmonic Orchestra and he was a member of World Orchestra of Jeunesses Musicales. He has performed at the most prestigious concert halls around the world such as Berlin Philharmonie, Musikverein Vienna, Carnegie Hall New York, Moscow Conservatory Concert Hall, Mariinsky Theater St. Petersburg and more. He is a concerned musician, always finding ways to bring music close to people, because music is an art of communication among people. Now he teaches at Athens Conservatory , he is member of “Melos Brass” quintet and the creator of “Greek Trombone Days”.